Fancy something really luxurious, but very personal, too? 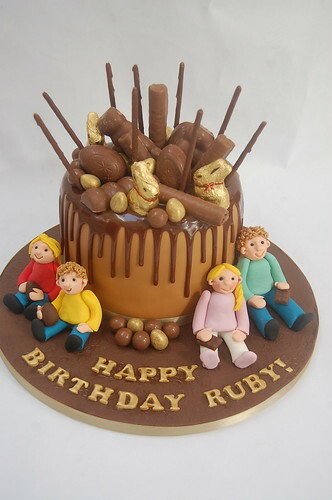 Why not combine one of delicious drip cakes with some incredibly cute fondant figures? You can even choose your favourite chocolates on top! The Family Drip Cake – from £100.